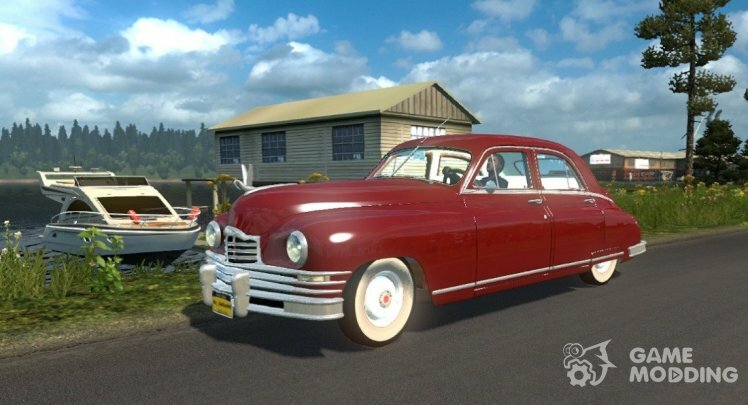 As the basis was used the original 3d model of the exterior and interior, added 1.3 L engine with a power of 65 HP in conjunction with 4-St checkpoint. Exterior tuning includes: 2 grille, 2 types of plates, signboard Mustang spoiler on the trunk lid, fog lights Hella. 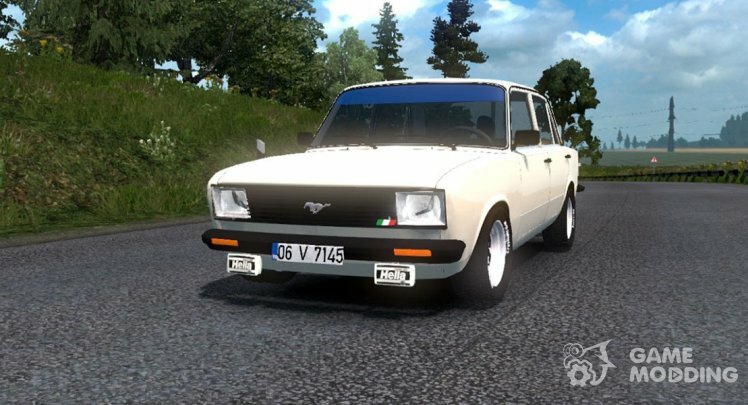 Tofas Serce is sold in all showrooms! Test versions 1.31.2.6 s, s 1.32.3.4. Is bought in the DAF. Test versions of 1.31 - 1.32. 3D model Magirus 360 M has high detail, the author implemented two cabins with sleeping accommodation (with spoiler and without) and the chassis 2 of the kinds are built according to the scheme 4×2, added engine power of 420 HP and two 12-St checkpoint. 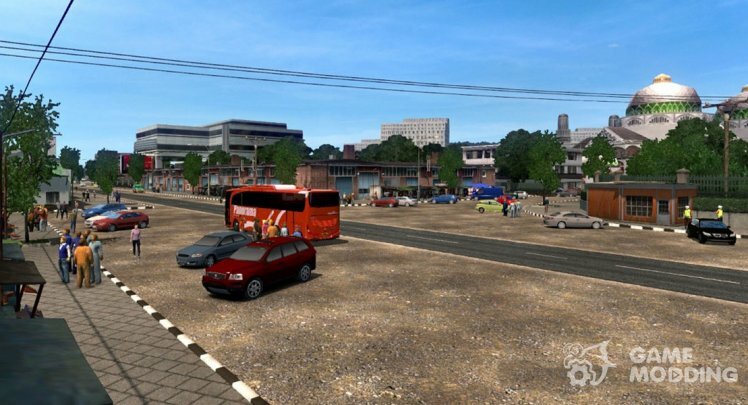 Iveco Magirus 360M has original interior with animation done in a classic style, and also boasts support for the installation of accessories in interior, no tires and wheels. 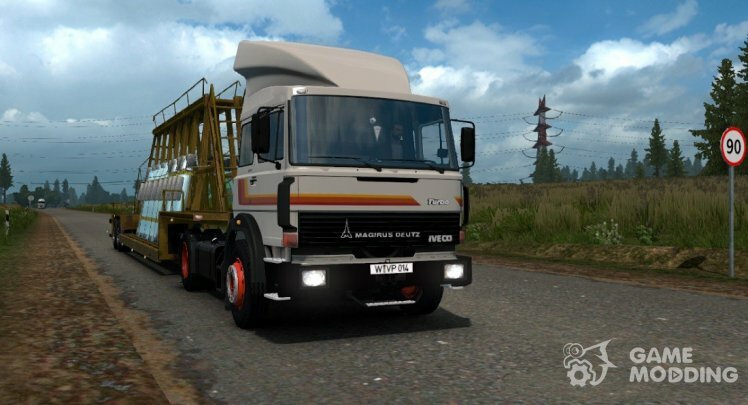 Iveco Magirus 360M can be bought in the salon Iveco! 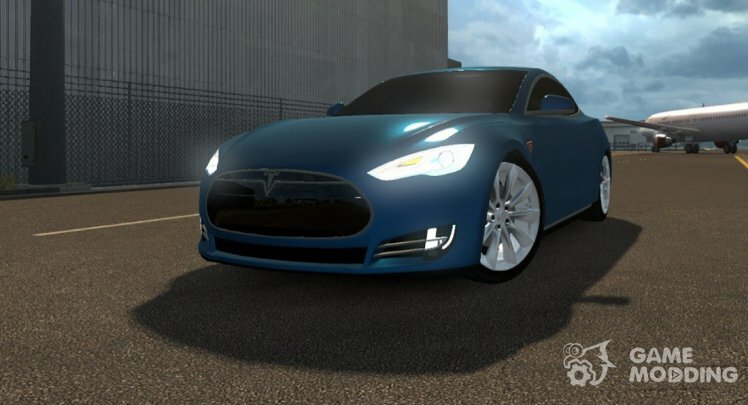 Tesla Model S has a high quality 3-d model, the author added the interior with original dashboard, two sets of wheels and two lattices, registered engine power of 470 horsepower paired with a 1-St CAT. Tesla Model S sold in all showrooms! Test versions 1.27, 1.28, 1.30, 1.31, 1.32. Test versions 1.30.2.6 s, 1.31.2.6 s, s 1.32.2.49. Mod include two model Hino RM2 is built on 2 chassis with the wheel formula 4×2 and 6×2, teh parts added 11 engine and 5 transmission. 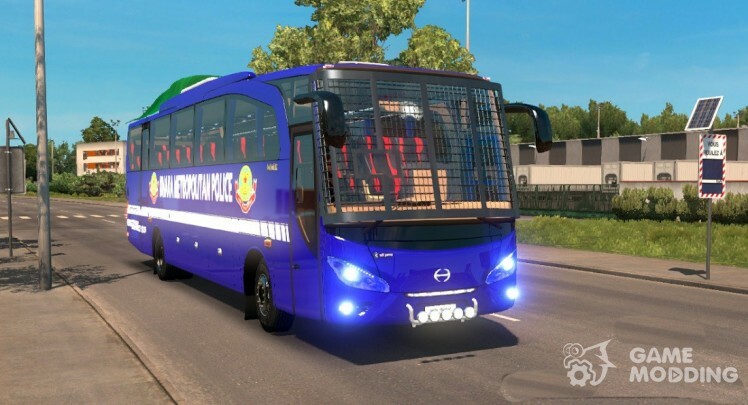 The new buses are of high detail and have the original RHD interior with installation accessories, the authors have added an animation of the exterior and interior, sound and new physics. Also implemented 12 skins and external tuning: 4 kind of mirror, LED display Board, stickers on Windows, the headlight, etc., and pressing “O” turns on the light in the cabin. Test versions 1.31.2.6 s, s 1.32.2.27. Hino RM2 sold in the showroom Mercedes-Benz. The truck is constructed on the chassis with the wheel formula 6×4, the author added 13 DIC production of Caterpillar and Cummins power up to 600 HP and transmission of 6 types (6, 10, 12, and 18-St CAT). 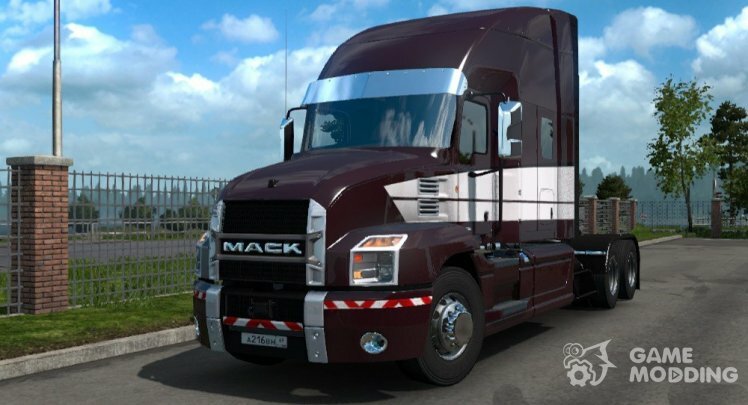 In addition, the truck supports the new functions of ETS 2, has original interior with animation, a set of his sounds (for each line of the internal combustion engine), and several types of original wheels and tires, but external tuning while virtually none. 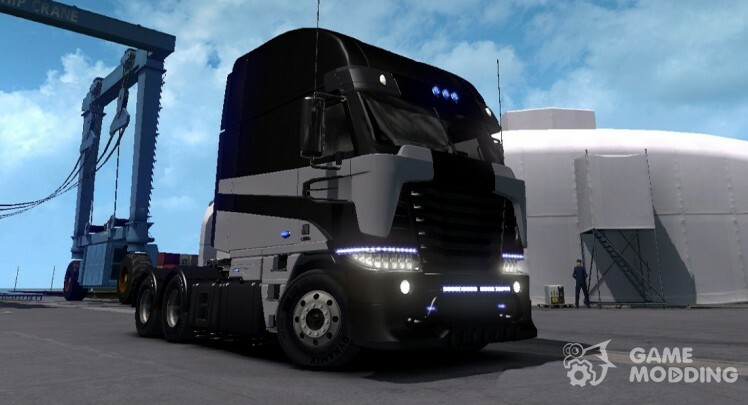 Galvatron TF4 can be bought in the salon Iveco. 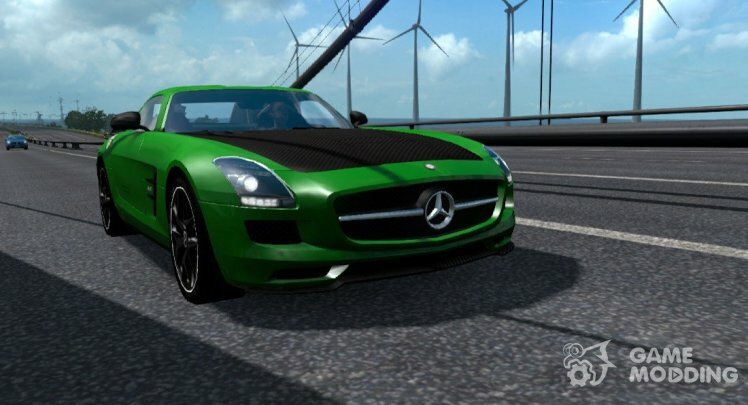 Test versions 1.27, 1.28, 1.30, 1.31.2.6 s, s 1.32.2.27.